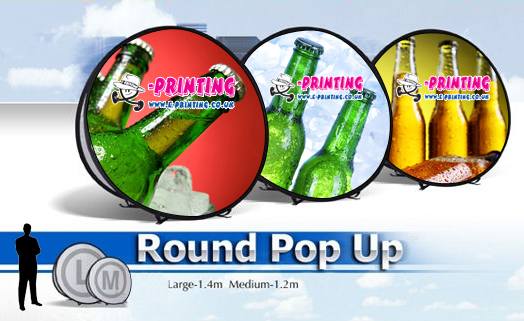 The round pop-up banner will ensure maximum exposure for your brand, logo or message with minimum fuss. 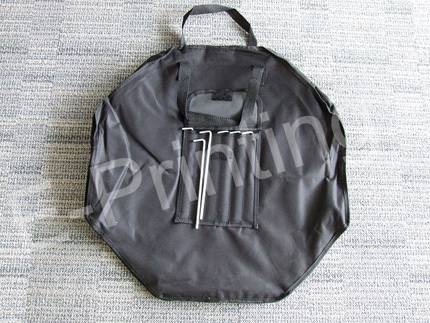 It is perfect for any activity, outdoors at sporting events like golf days, or indoors at exhibition. It is a unique banner to be set up in 30 seconds! 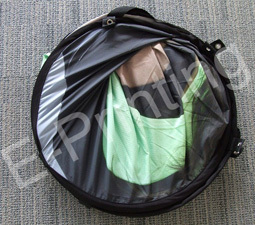 The frame expands on its own once out of its carry bag. 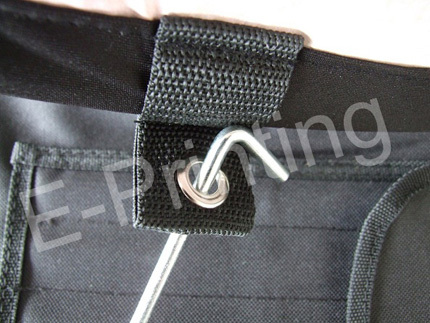 With pegs supplied, the round pop-up banner can be pegged into soft ground with loop tape sewn into the edges. An ideal banner suited to any rounded design! They are easy to order: Just choose the size, printing and quantity and our sales team will be more than happy to quote.